What we are doing is a performance-based business. For our customers, performance is prime. When Brad Cole Construction is on the job, we strive for a hassle-free project so our customers can sleep at night. BCC understands the intricacies of each segment within the construction industry. For over 40 years BCC has been engaged in major dam and reservoir projects every year, and for the last two decades they have maintained a presence on major power generation sites throughout the Southeast. 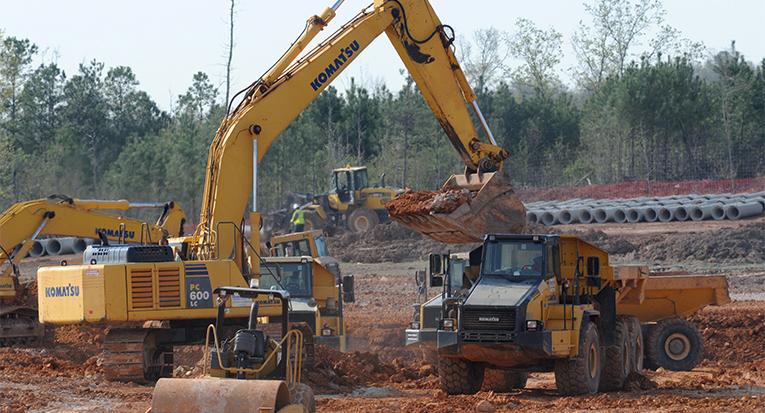 For retail and commercial development, BCC is a turnkey contractor handling complete site development. No matter the project scope or size, BCC has the strength, knowledge and experience to get the job done right.